London-based law firm Berlad Graham LLP is using the Virtual Practices legal software system to help maintain its position at the cutting edge of the fast-changing sector. The firm, set up by Raanan Berlad and Stewart Graham in October last year, is one of the growing number of virtual practices that operate without a conventional, fully staffed office function. Carrying out a range of litigation, property, matrimonial and private client work, Berlad Graham plans to become an alternative business structure in October as it pursues an ambitious growth strategy. From day one, the firm’s essential IT software services for practice and case management, and an outsourced legal cashiering service, have been provided by Virtual Practices (VP). The service, accessed via the Internet and paid for by subscription, means fast-growing firms can quickly add more users on demand. Manager Stewart Graham says: “Raanan is an experienced lawyer, but although I have managed law firms for 15 years, I am not a qualified lawyer. Now, the introduction of alternative business structures through the Legal Services Act means that non-lawyers like myself can become owners of law firms. 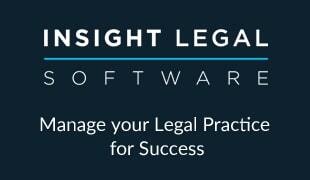 “In keeping with the radical changes in the legal services sector, we set out to be a virtual law firm. We do run a physical office in London which we call The Hub, but on a day-to-day basis we are hosted entirely in ‘the cloud’, and this means we have no problem being able to access all of our systems when we are abroad on business trips. The Hub is where our consultant solicitors can come whenever they wish to work or just to have a chat and lunch. “As we grow it will be very easy to keep adding users who have full and instant access to their case load, as and when they need it. Virtual Practices enables me to see everything – financials, client updates and reports – at a glance, and the process of time recording is very easy.